Why do we hardly hear about this in the West? A girl rescued from Boko Haram hides her face at the Malkohi camp for internally displaced persons outside Yola, in northeast Nigeria, on Monday, May 25, 2015. Recent news reports reveal that some parents in Nigeria "donate" their daughters to Boko Haram to be used as suicide bombers. A Christian missionary who teaches dirt poor children in Nigeria sent me a link to a disturbing story. She told me that every newspaper she saw today featured the story. It’s a tale of unspeakable evil. Yet it’s a story we rarely hear in the West. Are you ready for some stomach-churning reading? The army is now appealing to Muslim parents not to “donate” their children to Boko Haram. That’s right. Parents are giving their children to these Muslim terrorists to blow themselves up and murder other people. How can this be? it was discovered that most of these hapless minors were “donated” to the terrorist sect by their heartless and misguided parents and guardians, as part of their contribution to the perpetuation of the Boko Haram terrorists’ dastardly acts against the Nigerian society and humanity. The acts of these parents and guardians are not only barbaric, but condemnable and unacceptable. Nigerians have a responsibility and obligation to collectively mould our children and wards. Consequently, members of the public are kindly requested to be more vigilant, security conscious and report any suspicious persons or those whose daughters or female wards are missing or have not been seen recently. And then, the most disturbing words of all: “Boko Haram terrorists have so far used more than 145 girls in suicide bombing missions between January and July 2017” – although, the article notes, the figure could actually be higher. One hundred and forty-five girls (if not more) have been used as suicide bombers in the first seven months of this year. I just did a search for “female suicide bombers Nigeria.” The first links that came up were: 1) an article from Al Jazeera dated March 15, 2017; 2) an article from The Guardian dated December 9, 2016; 3) an article from the same date on CNN; 4) an article on BBC from January 23, 2017; 5) and an article from the Independent on January 1, 2017. So, there was only one article from a USA-based news service. All but one of the articles is more than 6 months old, and the most current one is almost 5 months old. Yet the epidemic continues. Some of the girls used to detonate themselves had been kidnapped and had no idea what their mission was. They were simply strapped up in a vest and ordered to walk into a certain area. It could be a military installation or a mosque. Others may have been radicalized so that they participated willingly. It’s is reported that some boys have been used as well. You may think I’m exaggerating. But I’ve been getting reports of these atrocities from friends in Nigeria. And the article cited gives details of attack after attack. What I learned for the first time today was that parents are donating their children for this cause. This makes the story all the more evil. Perhaps if Western outlets reported on this more there would be more outrage around the world? Maybe other nations would feel more pressure to help the Nigerian army to wipe out Boko Haram? At the least, it would bring an outpouring of prayer for God’s help. So, I’m doing my part in getting the word out, still stunned by what I have read. That really says it all. May God have mercy. I like your content, but please fix your typos! It makes it hard to read, and sometimes makes it confusing. e.g., “the army is now appealing to Muslim parents not to donate their daughters…” I think the not is a mistake. Oh, my bad, I misread it. But what does the word “every” mean in the second sentence? It looks like the second sentence has an error and probably should have read, “She told me that every newspaper she saw today featured the story.” The word “this” that’s in front of “every” should be deleted. I’m really impressed with how carefully you read! If only columnists would do that! What does he mean by “well-meaning Nigerians”? What kind of well-meaning person would donate their child to Islamic terrorists to be a suicide bomber? Mr. Brown appears to have misunderstood what the army is asking. 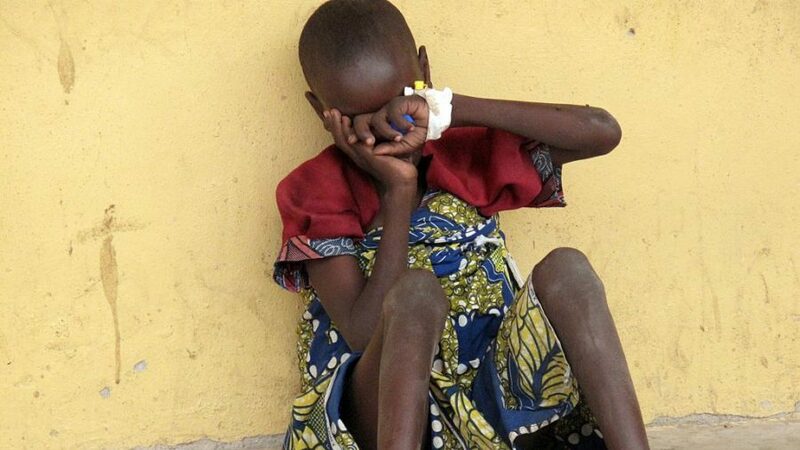 A well-meaning person would not donate their child to Boko Haram. That’s why the army is asking well-meaning Nigerians to try and talk parents out of donating their children. Good point. When one reads Dr. Brown’s articles, it’s easy to miss that most Muslims are well-meaning people. Another lie from Mensa Member. What a worthless piece of crap you are. Can you prove that most Muslims are not well-meaning people? Thanks for catching that! We’ll correct shortly. >> Why do we hardly hear about this in the West? Africans have been complaining about this media bias for years. 3 people will die in London and 30 people will die in Acca, on the same day, in similar ways. The London story will run for a week or more. The Acca story gets buried in a “news summary” somewhere. Why would parents donate their children to Boko Haram? It would appear that mostly little girls were donated. Apparently, parents wanted to keep little boys more than little girls. Did they do this because they couldn’t afford to raise these children? Did these children have birth defects or some disability? Perhaps these parents donated their children not so much to help Boko Haram but to make their own lives easier. Thanks for your diligence and vigilance, Dr. Brown. At the very least, it gives more direction to informed praying–while helping to keep our hearts in tune with Heaven’s concerns. Sadness reading this. This is why ALL must be educated. Religion is such positive comfort to a person’s well being…unless it is twisted and all consuming. BUT if you add to that the hate, killing & disrespect for others you have islam. How can/have the leaders of the world allowed this to grow ? There is so much beauty in the world, but look at what is happening to the nation’s , to the history, to the very people trying to help. Individual people are one thing, but the machine behind the muslums is a danger to the world and to themselves.